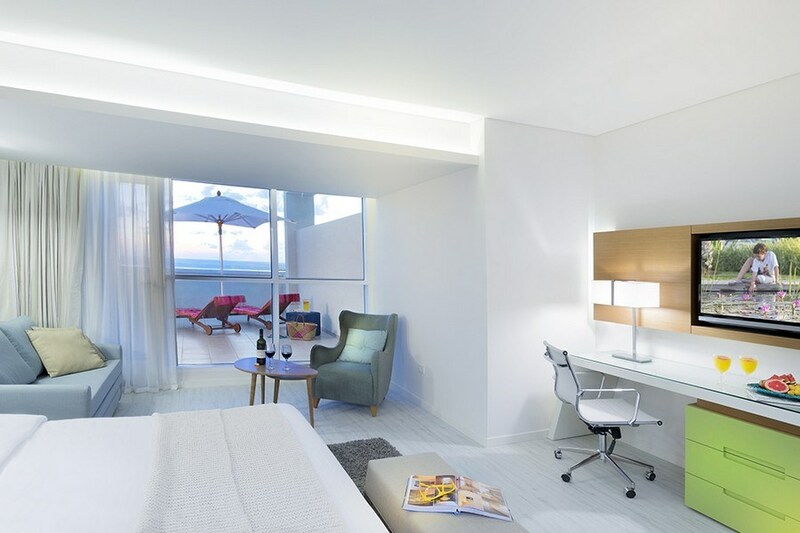 The Leonardo Plaza Netanya is a new and exciting luxury hotel located close to a beautiful sandy beach, and just minutes from city center attractions. Families, couples and business visitors alike can take advantage of the wide range of indulgent facilities on offer, for the ultimate urban-beach break. 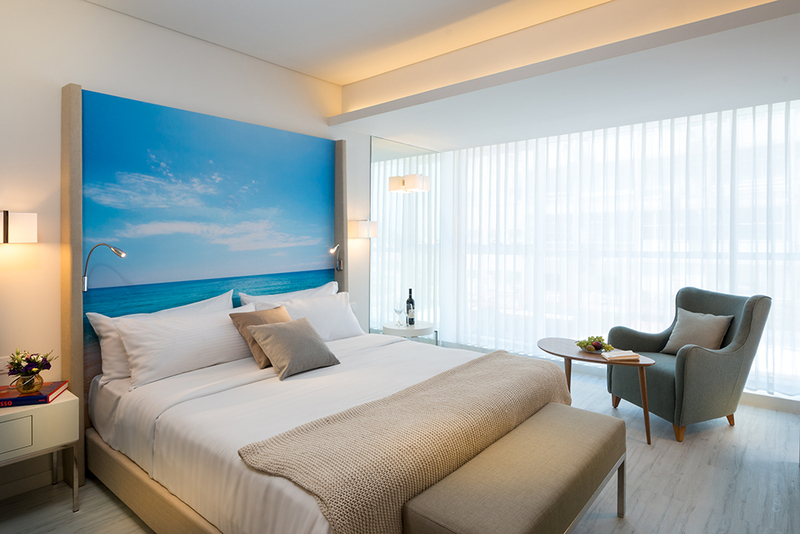 Fattal Hotels enlisted the services of renowned interior designer Buki Zuker to create the exceptional accommodation at the Leonardo Plaza Netanya hotel. 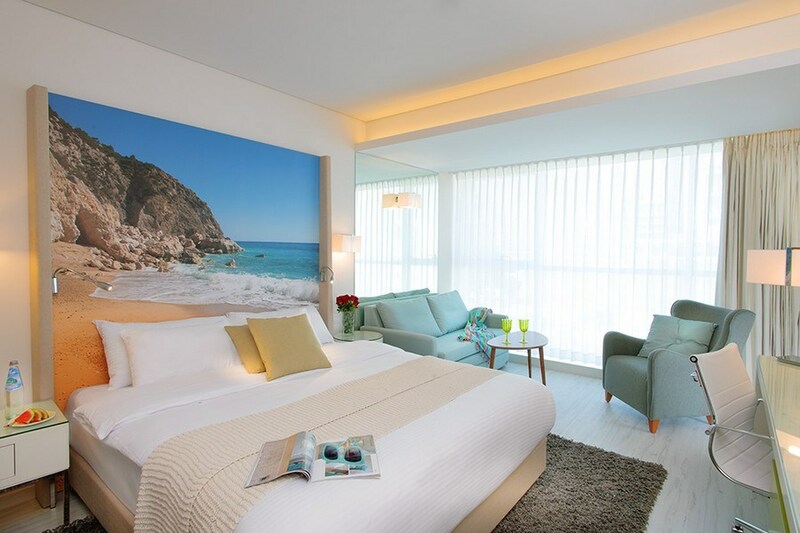 The elegant contemporary rooms and suites are enhanced with carefully selected high quality furniture and fittings. As well as superior accommodation, guests at the Leonardo Plaza Netanya hotel can also expect delicious daily breakfasts and freshly prepared dinners comprising the finest of ingredients. 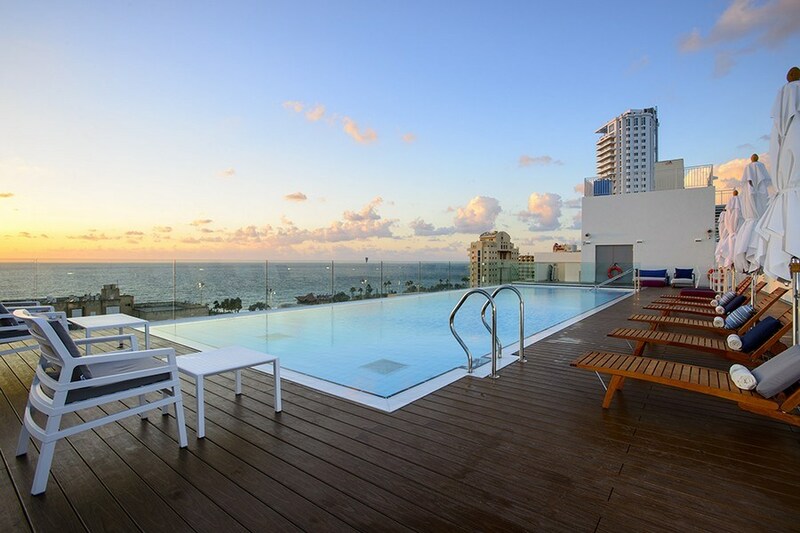 The extensive range of facilities include a wonderful rooftop pool and adjoining sun deck equipped with comfortable loungers, providing the ideal place to relax and soak up the sun. An array of blissful spa treatments and a well-equipped gym provide rejuvenation for mind and body. Children can let off steam in the fun kids club, while business guests are welcome to host an impressive event in the attractive and practical event hall. 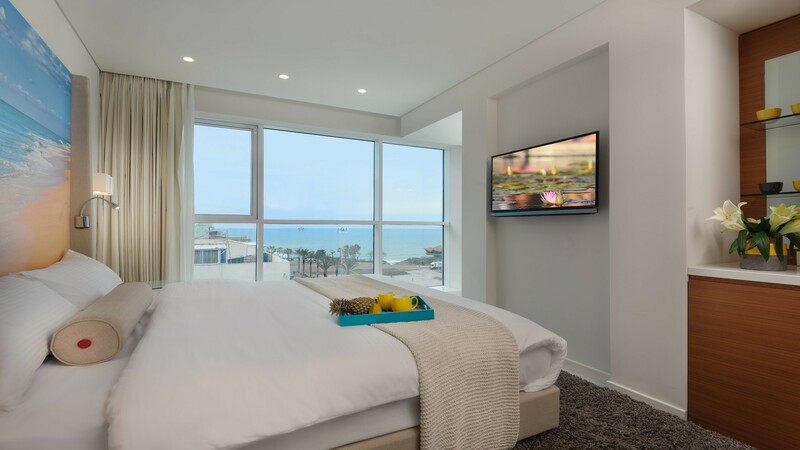 Guests at the Plaza Netanya are ideally situated to access Netanya’s lovely beach, as well as take part in the entertainment and enjoy the attractions at Atzmaut Square. Exexcutive SuiteDesigned to exceed expectations when it comes to comfort, the suites feature a separate bedroom and living room. There’s plenty of space to relax with comfy armchairs, a large flat screen TV, free Wi Fi, a mini-bar and refrigerator. The working desk is ideal for business guests while free access to the hotel’s business lounge is included in the room package. 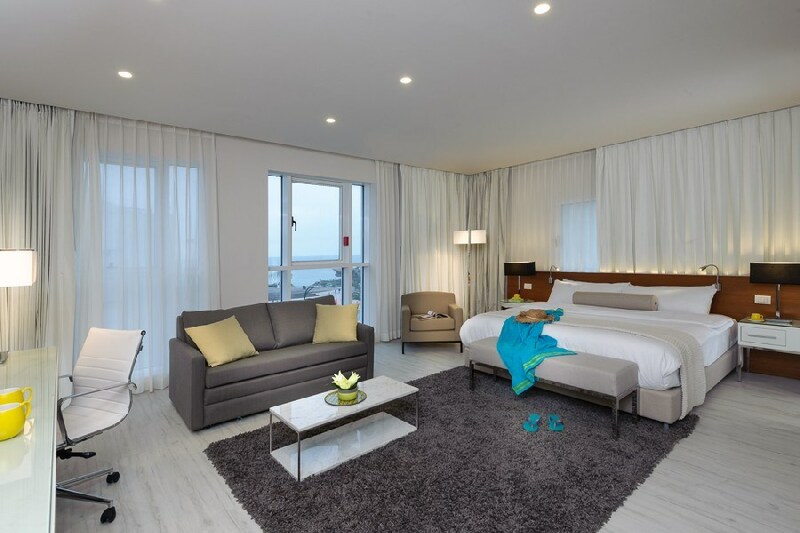 The executive suites can accommodate up to four adults or a family of four.